Launched in 2009, Vayuna is the most comprehensive and integrated ERP platform for easily managing school's administration, communication and data needs. With Vayuna service package, our dedicated support professional will always be available at your school premises. 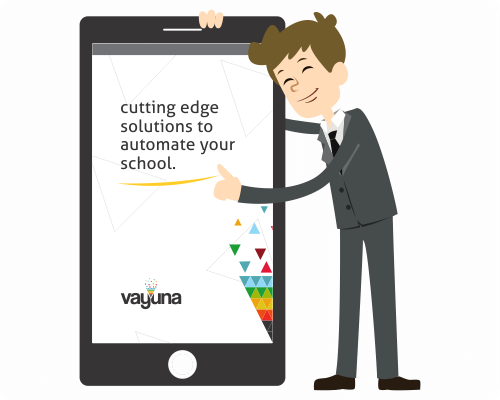 Vayuna software suite has a school ERP Software, native Android and iOS Apps and has every feature you will ever need to run school efficiently. We offer one of the most comprehensive suite of IT Products for managing an educational institute in an efficient manner. 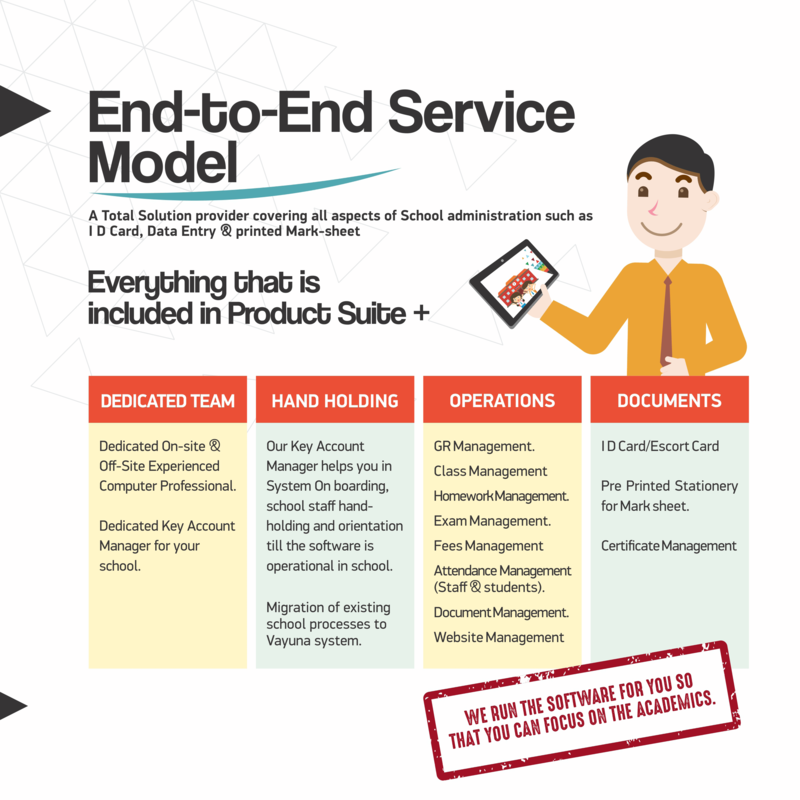 Student Profile from school management software is automagically shown in the app via seamless integration technology architecture. The Message System is designed to communicate the Daily attendance, Home work, Fees reminders, Result or any Service Message (Urgent Communication) etc. School can now share pdf files for passing on information such as forms, circulars etc. Get complete history of fees with pending and paid fees in the fee card section of the app. It syncs automatically with School ERP System. The most easiest platform for sharing school pictures with parents for events, festivals and school functions. 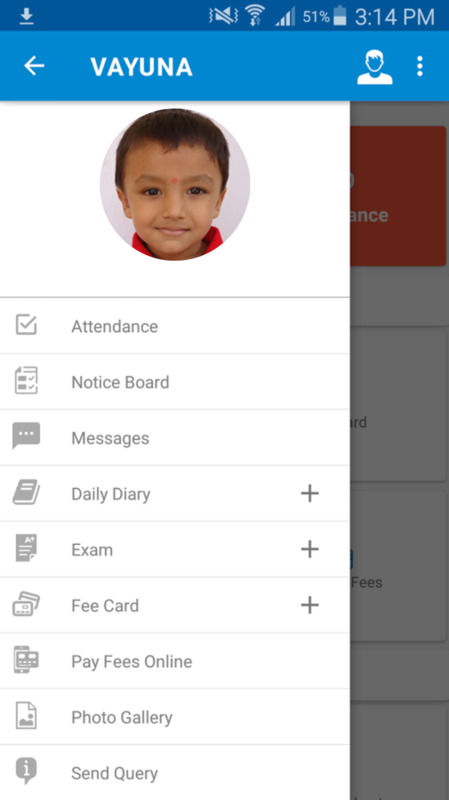 Track student attendance and inform parents instantly about child's absence. Your virtual diary: A complete view of informational, homework, fees, results, announcement related information sent by the school on a regular basis ! A superb module that allows school to share results with parents. It also has a functionality to show pdf of marksheets. Our app allows users to pay fees online via Debit Card, Credit Card or Net Banking. Once the payment is done, parents can collect the receipt from school or get an e-receipt. Parents can send their concerns, queries or feedback via the send query module. More than 600 clients across geographically diverse areas are using our services. SURE NG is a very useful tool. We can see the positive difference in the system. It allows the staff to have up to date information of students. It allows the parents to have up to date information about school happenings and their child's grades. And the support we receive at the premises is very welcoming making it a cohesive atmosphere. We are satisfied!" The SURE NG software has a made a positive impact on our School. It has revived an effective communication between the school and parents. My staffs have been taken off the burden of many activities which were consuming time because of the dedicated support offered. We are now in a position to take important decisions of the school faster and with ease." As Parents we are worried of not having proper interaction and information flow with the school due to the busy schedules. Now with the help of this application I am able access my child’s performance with a click, making me feel free of guilt and happy to be updated. This is a boon for a parent of this generation." Our Address: 204 Dwarkesh Complex, Off.Sun Pharma rd, Old Padra rd,Atladara,Baroda - 390012. Built with by Vayuna Solutions. All right reserved.